Hardin Village is a single family, new home community being built by Megatel Homes. It features 3-5 bedroom homes from 1,891 to 4,000 sq ft in size. Located in McKinney Texas, just minutes away from HWY 75. 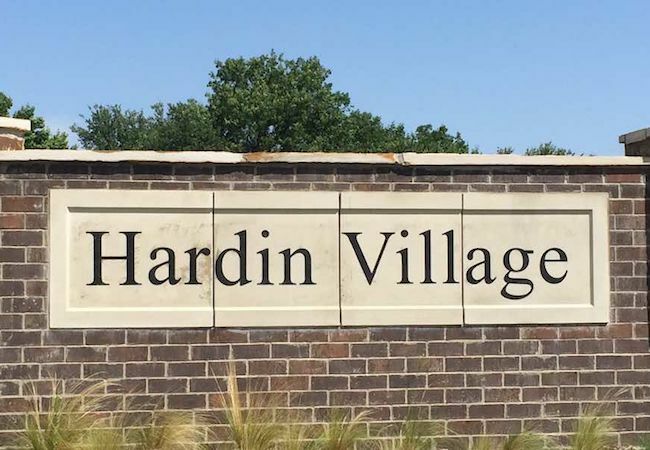 This wooded community is in a great location at HWY 380 & Hardin Rd and also offers easy access to Historic Downtown McKinney. You will not be short on great shopping, restaurants and entertainment in lovely area. The community filters into outstanding McKinney schools such as McKinney Boyd High School, Cockrill Middle School and Slaughter Elementary School. Todd Milligan is the sales associate and will be happy to answer any questions you may have. Tell Todd that we said hi when you stop in. Take HWY 75 North to HWY 380 in McKinney. Head West on HWY 380 towards Hardin Road. Go South on Hardin Road to Crowe Lane. The community will be on your right hand side.